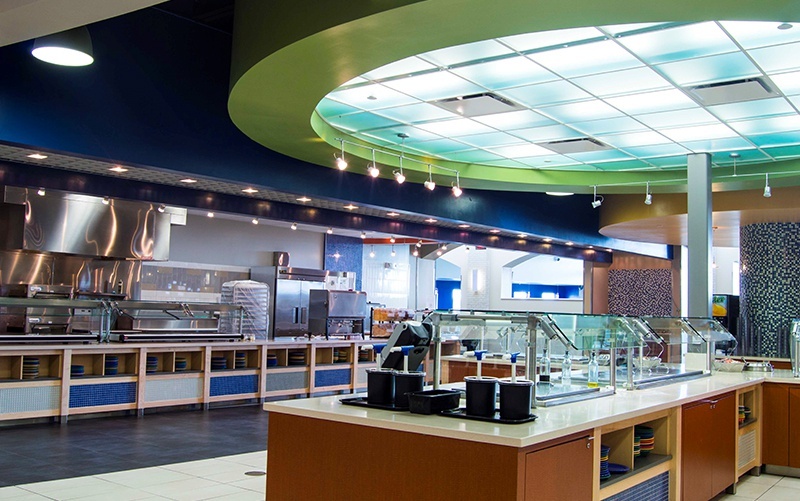 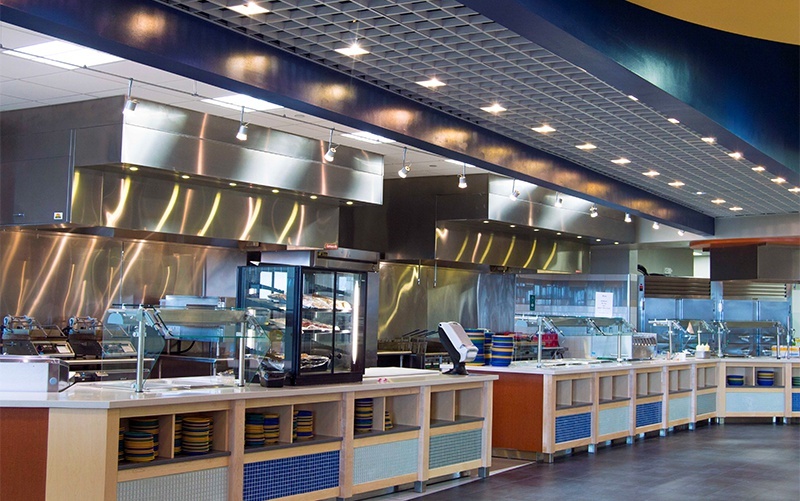 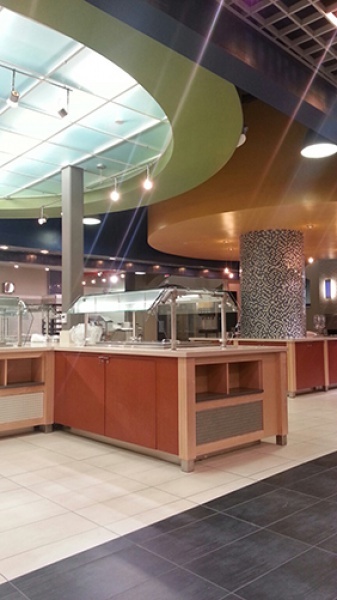 To keep in line with other recent campus updates, a sophisticated yet lively color palette is utilized throughout the Food Service Facility. 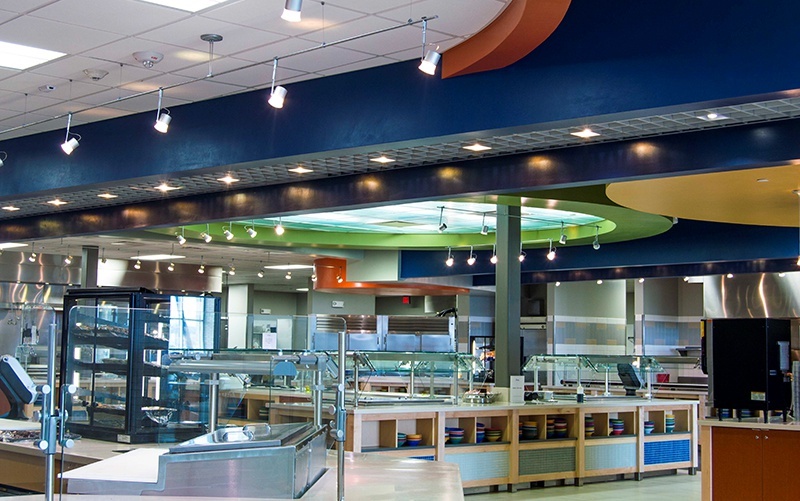 Instead of covering the interior top to bottom in school colors, ICCC blue is instead integrated with unexpected accents of gray, taupe, rust, mustard yellow, and even apple green. 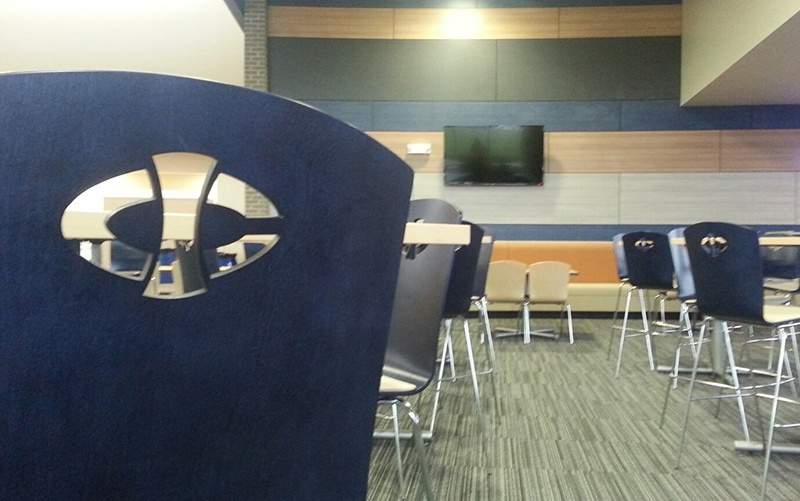 Blonde wood tables and custom logo chairs are highlighted within a contemporary backdrop of wood grain laminate panels, mosaic tiles and integrated lighting. 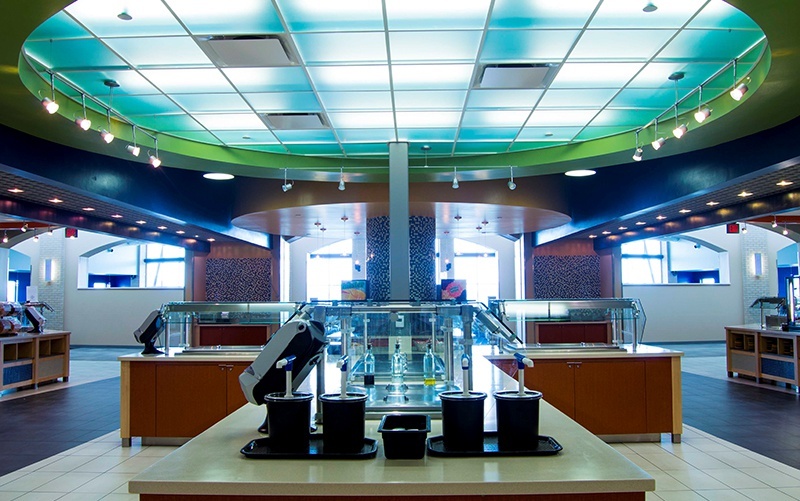 Translucent light panels over the center of the servery suggest a massive skylight while large exposed trusses in the dining hall give the space a sense of grandeur. 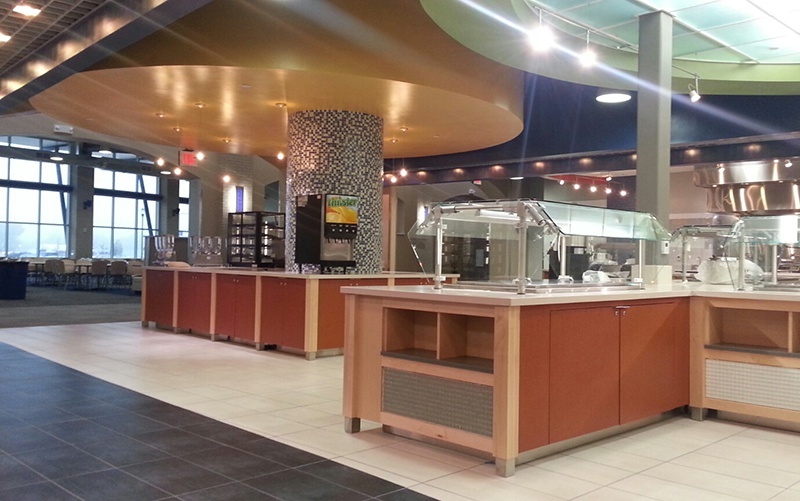 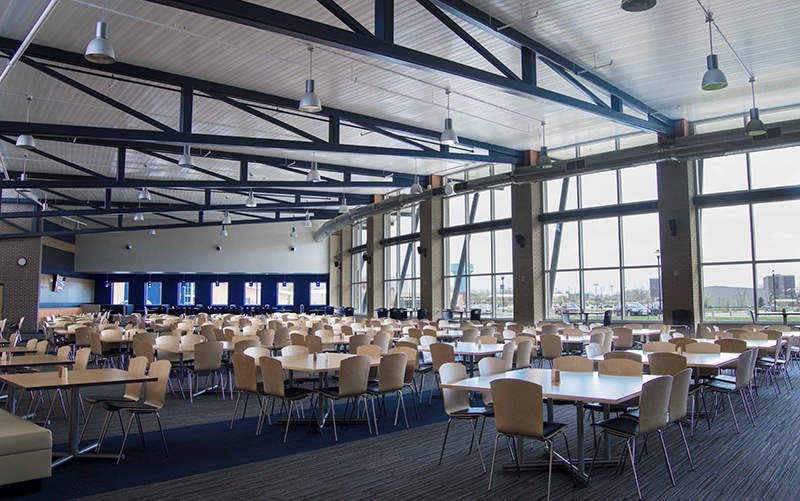 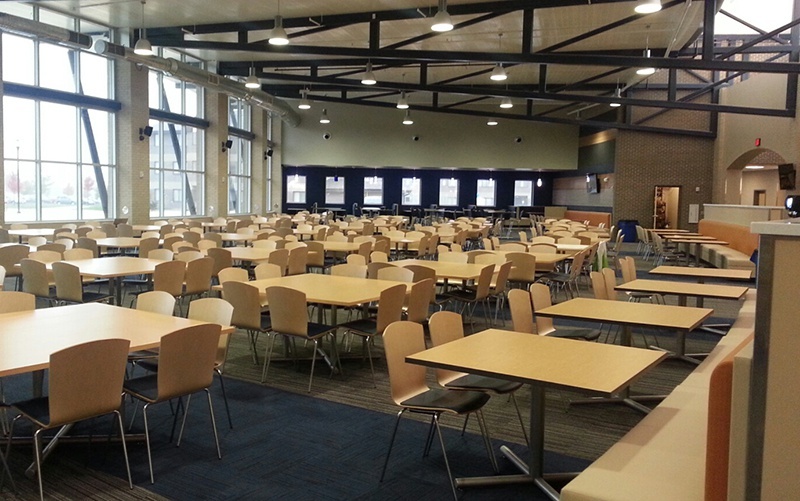 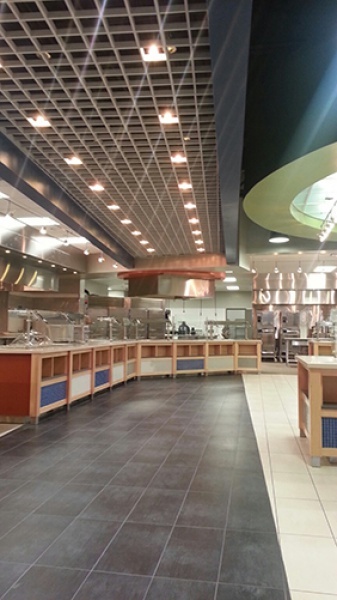 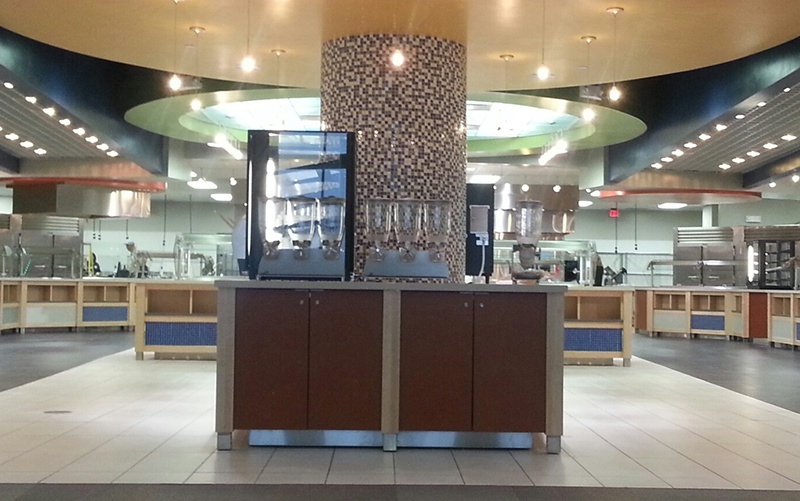 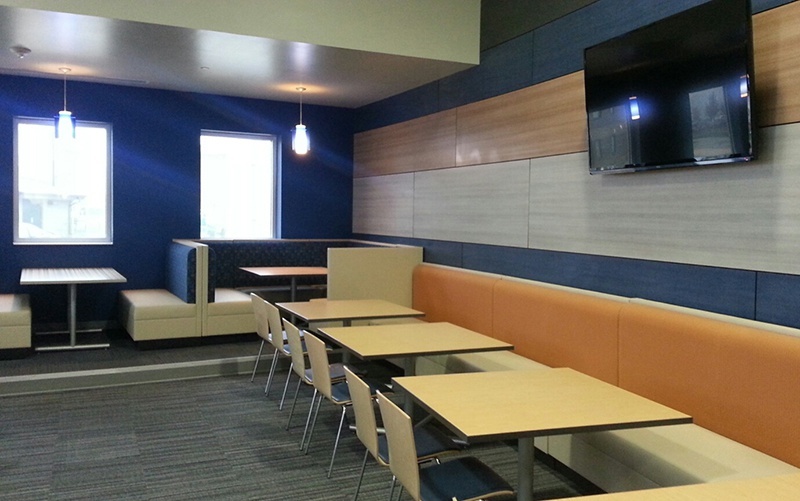 The finished product is a truly distinctive space that takes the standard college cafeteria to the next level. 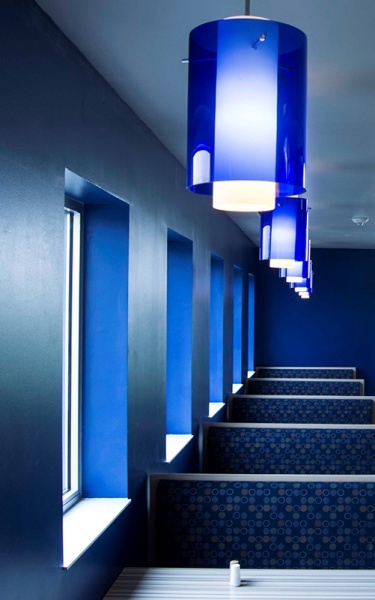 A blend of traditional and contemporary forms ground the building to the existing vernacular while offering a vision for the future identity of the campus.